Mission: The Robert D. and Marcia H. Randall Charitable Trust was founded to improve and enrich the lives of people in the Pacific Northwest by supporting organizations that provide opportunity to the underprivileged; promoting personal responsibility and initiative through values-based programs focused on improving education and social well-being with challenging, stimulating instruction – all of which reflect and strengthen the economic, political and cultural institutions upon which the American heritage of constitutional government and private enterprise is based, helping to create – with God’s help – a better world. History: The Randall Group, Inc. was founded in 1960 when Robert D. and Marcia H. Randall purchased and refurbished their first duplex. Since then, The Randall Group, Inc. has built and acquired more than 30,000 apartment units in addition to numerous commercial, industrial, office and single family projects on the west coast. 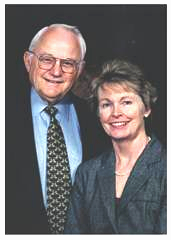 Through the years, Robert and Marcia Randall have shared their time, talent and financial resources with the community. 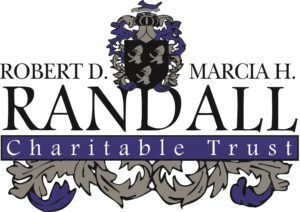 In 2001, the Robert D. and Marcia H. Randall Charitable Trust was organized to further address and respond to current needs of the communities in which the Randall family business has benefited. The Robert D. and Marcia H. Randall Charitable Trust is their legacy built on hard work and a helping “hand-up” spirit. Since its inception, The Robert D. and Marcia H. Randall Charitable Trust has awarded nearly 800 grants totaling more than $38 million to education, youth development, community building, public policy, arts, culture and museums, and immediate need.